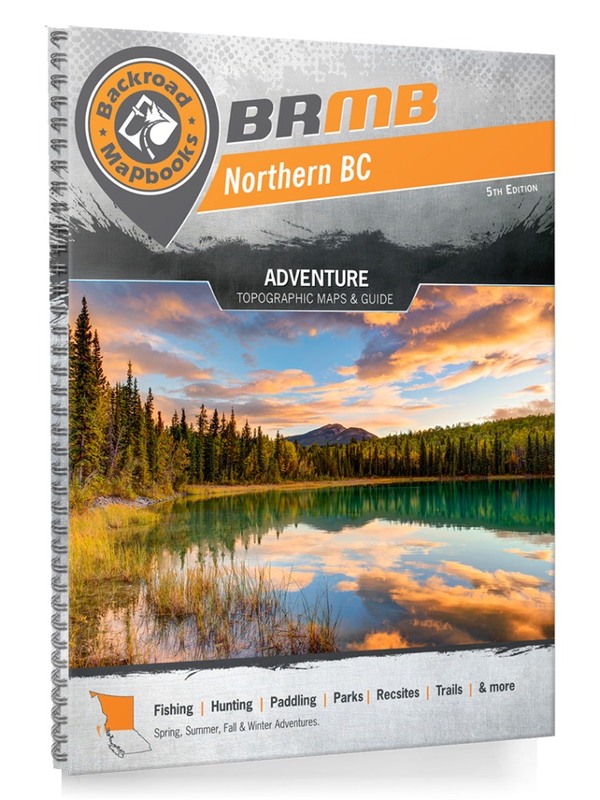 This recreation topographic Mapbook of Northern British Columbia (BC) highlights all the logging/resource roads, hunting areas, fishing lakes & streams, campgrounds, recreation sites, backcountry campsites, paddling routes for canoeing and kayaking, wildlife viewing areas, motorized trails for ATVing and Snowmobiling, hiking, mountain biking, backcountry skiing & more. Featuring 114 maps in total, this Mapbook covers 679,495 km2 (262,355 mi2). Maps 1-59 are 1:250,000 scale, maps 60-86 are 1:275,000 scale and maps 87-114 are 1:500,000 scale. Maps 103-110 also cover parts of the Yukon and Northwest Territories. New features include private land and labelled fish species plus countless new roads, trails and recreational Points of Interest and new inset maps for McBride area. These maps show you the cities and surrounding areas of Atlin, Chetwynd, Dawson Creek, Fort Nelson, Fort St. John, Haida Gwaii, Mackenzie, Prince George, Prince Rupert, Smithers, Stewart, Terrace, Tumbler Ridge, and Vanderhoof, plus Mt. Edziza Provincial Park, Muncho Lake Provincial Park, Northern Rocky Mountains Provincial Park, Omineca Provincial Park, Spatsizi Plateau Wilderness Provincial Park, Tatshenshini Alsek Provincial Park and more.